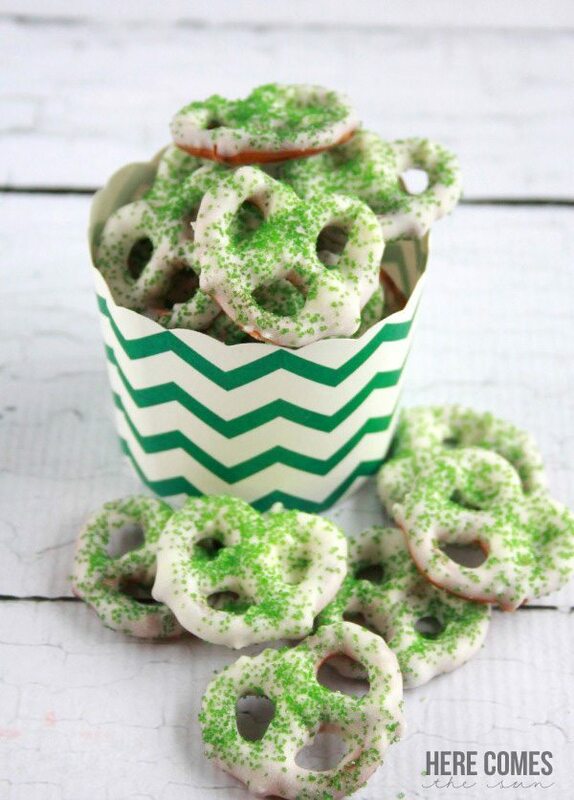 Celebrate St. Patrick’s Day with these delicious chocolate covered pretzels. 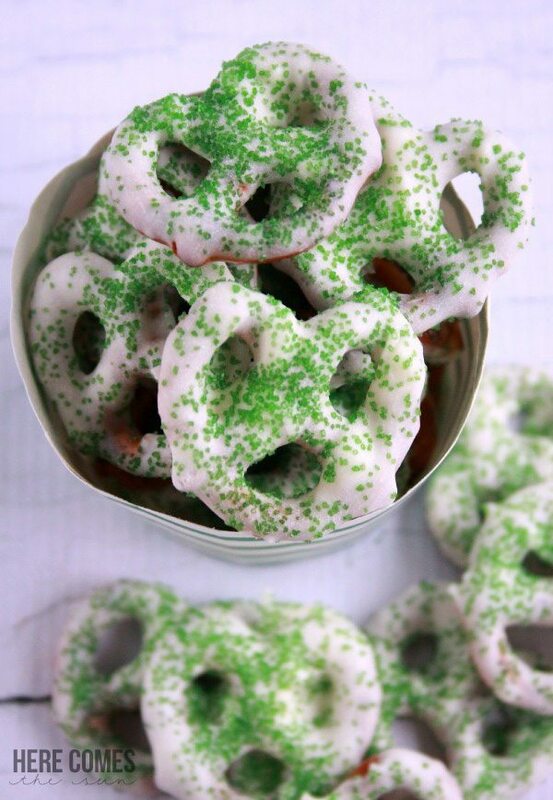 Chocolate covered pretzels are the perfect snack. I love the combination of salty and sweet. Apparently the kids do too because the batch that I made is GONE. 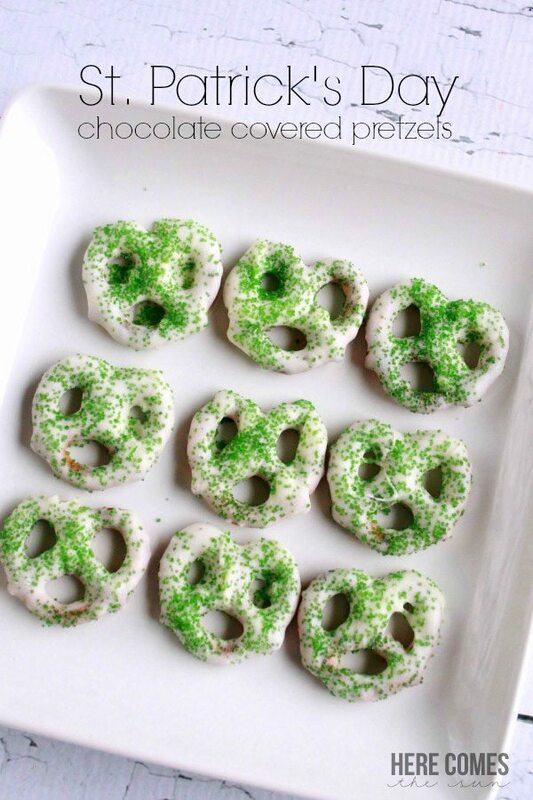 Place a pretzel flat into the chocolate. Let the excess chocolate drip off of the chocolate and into the bowl. 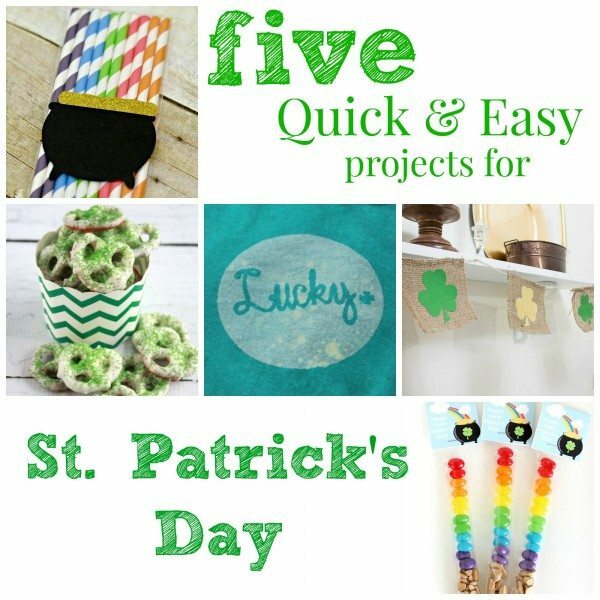 Want more St. Patrick’s Day ideas? Be sure to stop on by my friends’ blogs to see their posts!